Apple Inc.’s grammatically incorrect but award-winning ad campaign. 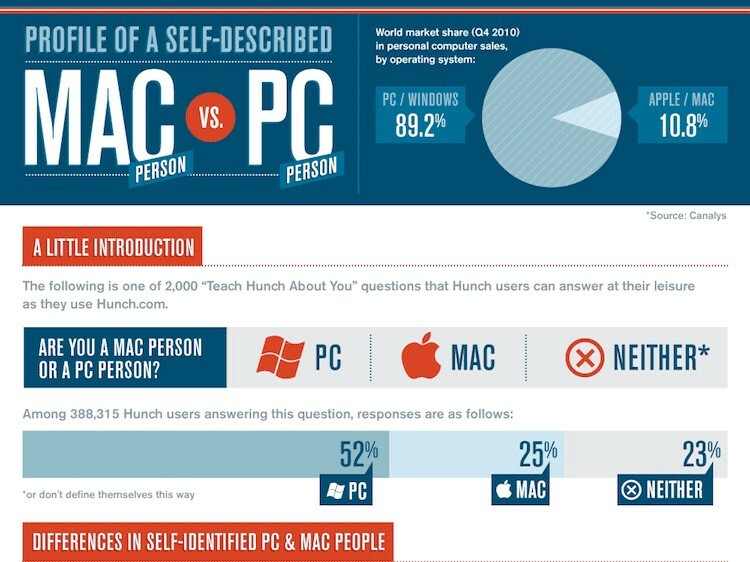 We’ve all heard it said before: Mac users and PC users are just different. But is it true? Before we get to the crux of the argument, let’s get some housekeeping out of the way: we’ll define a “PC” as a computer manufactured by any of a dozen companies that runs on the Microsoft Windows operating system, and a “Mac” as a computer manufactured by Apple Inc. that runs on Apple’s macOS operating system. The question as to the difference between PC and Mac users should be easy to answer. There are wonderful charts and infographics available from Google that purport to do just that. Mac users are more likely to be liberal than PC users. Mac users are more likely to live in urban areas, while PC users are more likely to live in suburban or rural areas. PC users tend to care more about fitting in with others, versus Mac users who tend to care more about being perceived as unique. Mac users are progressive, creative change agents. Apple’s public relations department has of course run with this idea. Apple’s famous “Get a Mac” series of ads from 2006 typify the way people conceptualize the differences between Mac and PC users. These ads, by TBWA\Media Arts Lab, ran from 2006 to 2009. Mac vs. PC was David vs. Goliath. But the research about differences in these user groups was conducted way back in 2010-2011, back when the iPhone was just taking off. 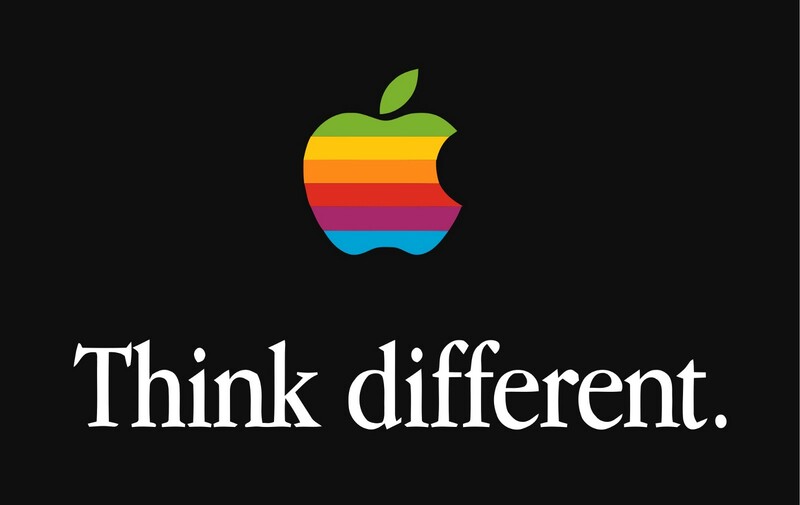 Now that we all “think different,” perhaps none of us do. Granted, the Mac vs. PC debate has traditionally been relegated to personal computers rather than consumer devices like mobile phones and tablets. But the lines between mobile and desktop devices is becoming blurry, and a convergence is under way. The total number of computer users dwindles each quarter, as the total number of consumers on mobile platforms increases concomitantly. Apple’s reputation as a computer manufacturer (and the reputation of its MacOS operating system) has increased even if the company’s market share has not. A study by Verto Analytics shows that PC users are 10 times more likely to switch to a Mac than vice versa. The mainstreaming of Apple is partially responsible for this trend. The iPhone’s “halo effect” certainly hasn’t hurt, either. Absent new data, I’d venture that, today, Mac users and PC users are a lot more similar than they were a decade ago. If Apple’s customers still self identify as unique and creative, for instance, it’s not because they chose a Mac computer over a PC, but despite it.